UK pubcaster the BBC is doubling down on blue-chip natural history programming with a raft of high-profile commissions through to 2022. In addition to the previously announced Sir David Attenborough-fronted duo One Planet, Seven Worlds and Green Planet (both working titles), the BBC has announced a further three series in its Planet franchise. Perfect Planet, due in 2020, will blend natural history and earth sciences to reveal how the Earth operates. The five-part series will demonstrate how forces of nature – weather, ocean currents, solar energy and volcanoes – guide, shape and support the planet’s life. 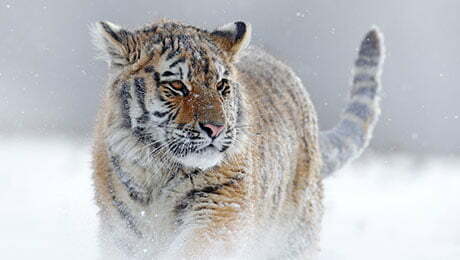 Frozen Planet II (6×60’), a follow-up to the 2011 series, will return audiences to the Arctic and Antarctic wildernesses 10 years on, continuing the story of the wildlife that lives in the quarter of the world that is entirely frozen and layered with snow. Finally, Planet Earth III (8×60’) is billed as the pubcaster’s “most ambitious natural history landmark ever undertaken.” The series will combine the science and discoveries from predecessors Blue Planet II and Planet Earth II and the character-driven stories of Dynasties to advance the franchise. It is due in 2022. Both Planet Earth III and Frozen Planet II will be coproduced by BBC Studios’ Natural History Unit, BBC America (which will air them in the US) and The Open University. The exec producers are Mike Gunton and Mark Brownlow, respectively. Perfect Planet is being made by Silverback Films and coproduced by Tencent Penguin Pictures, France Télévisions and The Open University. Alastair Fothergill is the exec producer. Additionally, the BBC has commissioned a further two natural history programmes: BBC2’s The Mating Game and Earth’s Paradise Islands & Primates for BBC1. “We know audiences want shows that bring them the richest narratives, the best camerawork and the highest-quality production values and they look to us to deliver this,” said Charlotte Moore, BBC director of content. Elsewhere, BBC Daytime has ordered a number of factual programmes to complement the Beeb’s signature natural history series. Blue Planet spin-off Blue Planet UK, presented by Gillian Burke, Steve Brown and Chris Packham, will focus on the nation’s marine wildlife. Five-part docuseries Good Morning Dagenham, 24 Hours on the Inside With Dom Littlewood and Curiosity round-off the pubcaster’s recent orders.